Buying from us is simple and stress free. We've been supplying custom neck straps for more than a decade and work extremely hard to ensure we offer straightforward, no-obligation honest advice about which bespoke neckstrap will work best with your logo before you order and are happy to help with your artwork for production free of charge. With our wealth of experience, you can be sure that your order is in good hands. 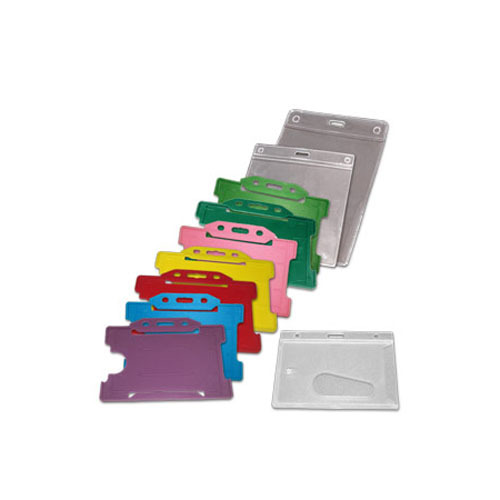 Our products are not only an essential item in the security conscious workplace but are also an excellent and inexpensive promotional product - a great way to get your brand on display! 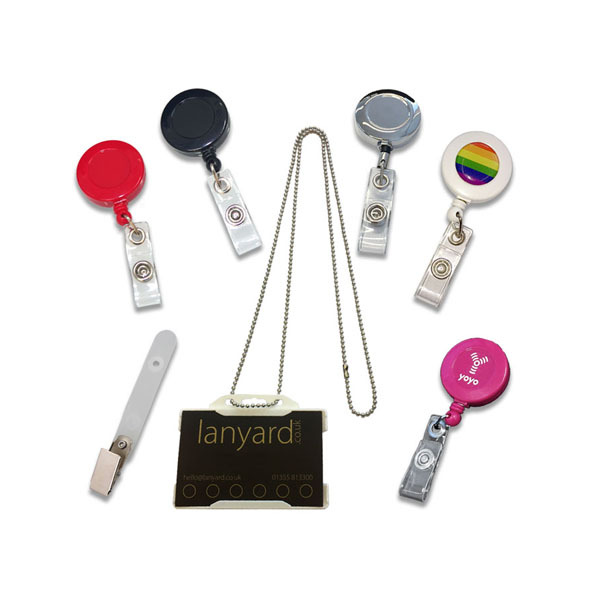 Our products are perfect for holding ID badges, keys, whistles and even water bottles and can be further customised with a stylish quick release buckle, a printed badge reel and/or a luxury clip! Simply contact us with your order requirements - material colour, print colours, quantity, delivery and billing address, attach your logo in a format we can use and we'll do the rest! Screen printing your logo or design results in a sharp, high quality look and feel and will showcase your brand exceptionally well. 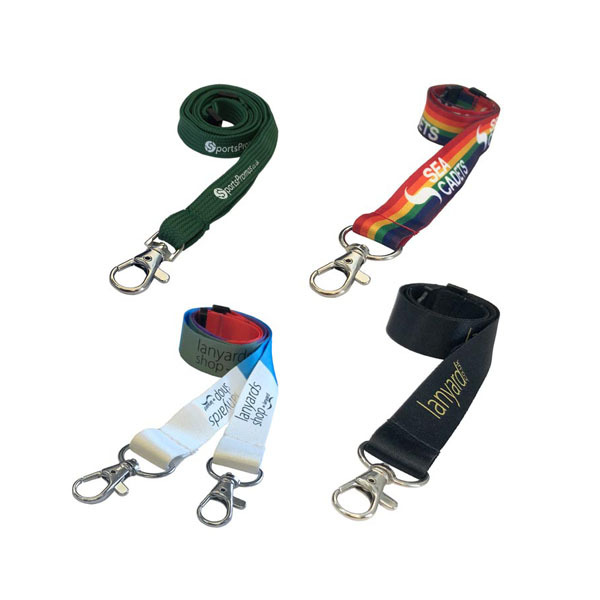 Our premium range includes luxury and high end choices so that your brand and lanyard stands out with a top quality look and feel. 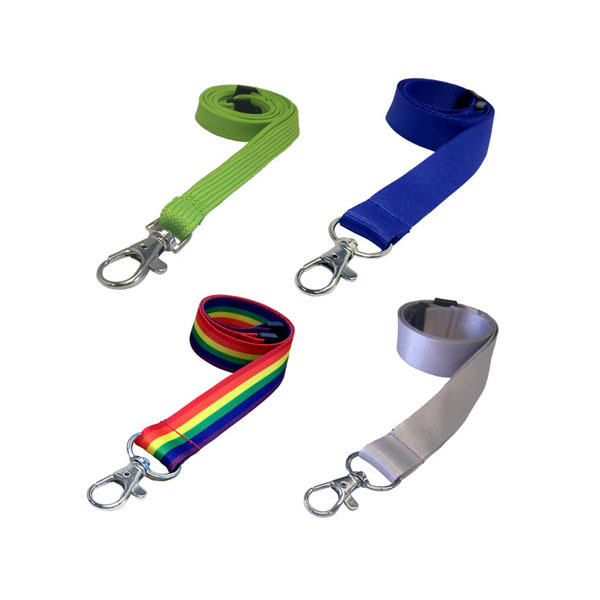 Our conference range includes double clip lanyards, ideal for holding a pass or other documents as well as wallets and other accessories. Our full colour range allows for a design in any number of colours offering photo quality printing, and allowing for shading, gradients and shadows. We carry one of the UK's largest range of plain coloured neckstraps	in the fab range of colours and patterns shown below, and many with matching accessories. Where applicable the PANTONE® reference is noted below the colour. You can search or browse by colour. Simply supply your logo in one of the file formats we can use. Let us know your colour choices or PANTONE® colour matching references, your choices of typeface or font, and we'll do the rest! 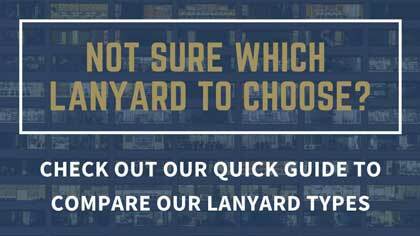 We'll supply a PDF proof of your custom printed design for your review and approval. Once you approve your design, we'll being production of your personalised order. 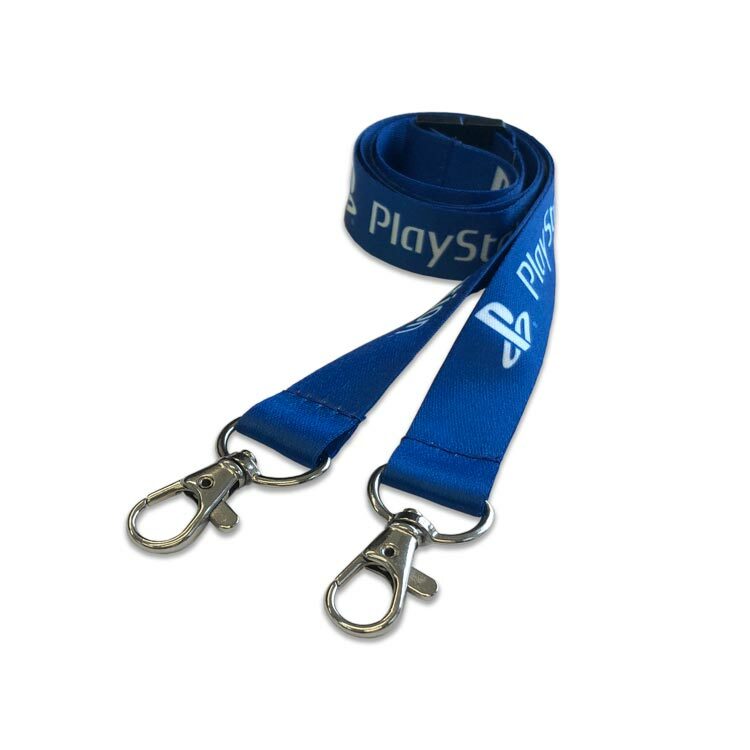 We manufacture using the highest quality materials and only lanyards that pass our strict quality assurance processes are shipped. We pride ourselves on offering an industry leading turnaround time as standard. Get your order in as little as 7 days! 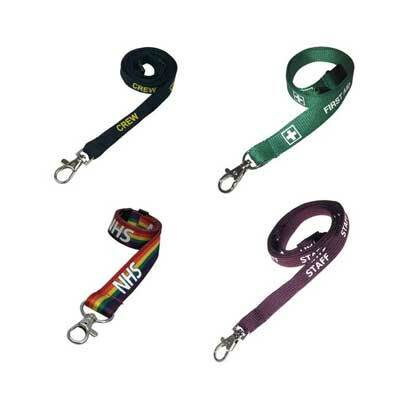 We have over a decade of experience supplying millions and millions of neckstraps and other custom promotional products. You can relax, knowing that your order is in safe, experienced hands with the UK's experts.